It's the hottest bagel in town. Don’t call them the new Cronuts, but Black Seed’s hand-rolled bagels are currently the hottest food in New York. 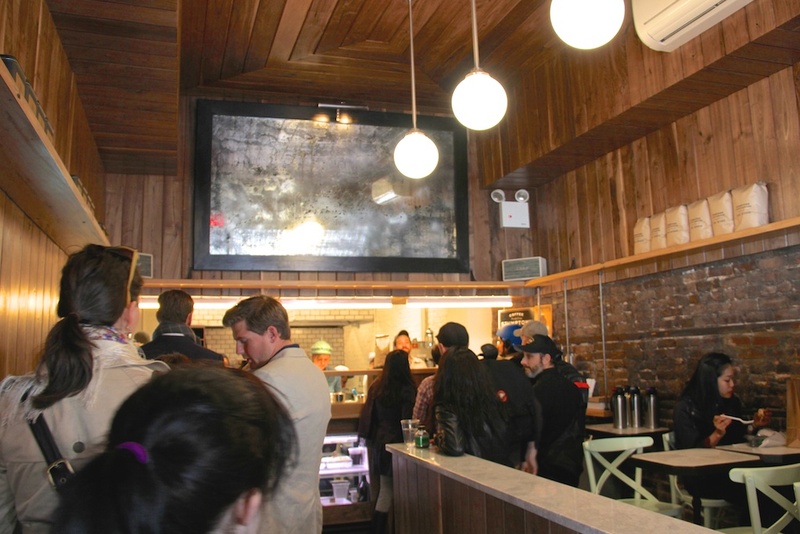 Since opening this past week in an unassuming space on Elizabeth Street, this new bagel shop from Noah Bernamoff (Mile End) and Matt Kliegman (The Smile) has sold out every afternoon while drawing lines that have stretched down the block. Though the hype has reached a fever pitch since the shop was called “NYC’s most ambitious bagel shop,” Bernamoff and Kliegman have so far been delivering. Billed as a cross between New York and Montreal-style, Black Seed’s bagels are smaller and much lighter than a traditional bagel. 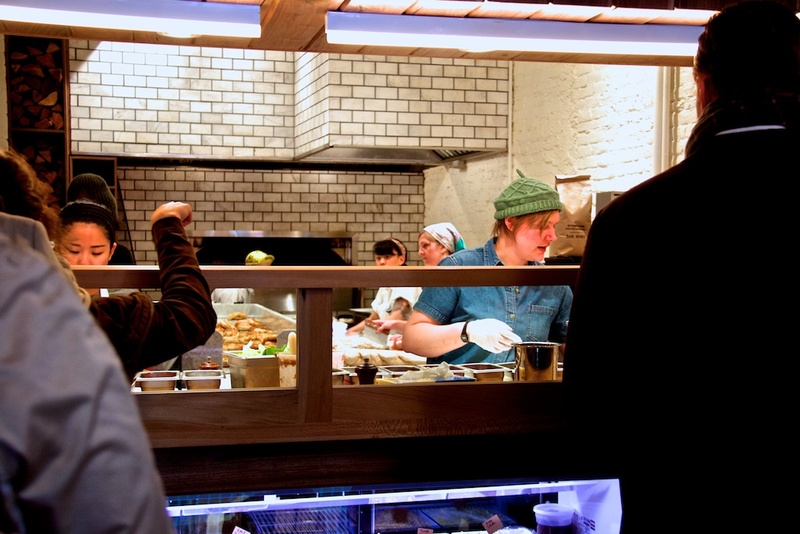 Though fresh bagels are constantly coming out of the large wood-burning oven in the back of the shop, Bernamoff and Kliegman have opted to allow customers to order their bagels toasted. Toasted or not, the bagels ($1.50 a piece, $15 for a baker’s dozen) pair incredibly well with all of the toppings and spreads. In addition to the a la carte options, which range from homemade cream cheese and almond butter to sable and line-caught tuna salad, the menu includes eleven signature sandwiches. Priced from $8 to $11, the sandwich menu includes all of the classics, from bacon, egg and cheese (#11) to the inventive and incredibly popular tobiko spread, salmon and butter lettuce (#3). On the latter, fresh tobiko gives an unusual texture to homemade cream cheese that, along with house-smoked salmon and butter lettuce, combine for a light and clean sandwich that goes down with dangerous ease. Though an unexpected turnout has caused the shop to close early on its first few days, Bernamoff and Kliegman are working to increase production and plan to be open 24-7 in the near future. For now, your best bet is to go early and snag a spot in line to try the best new bagel in town. 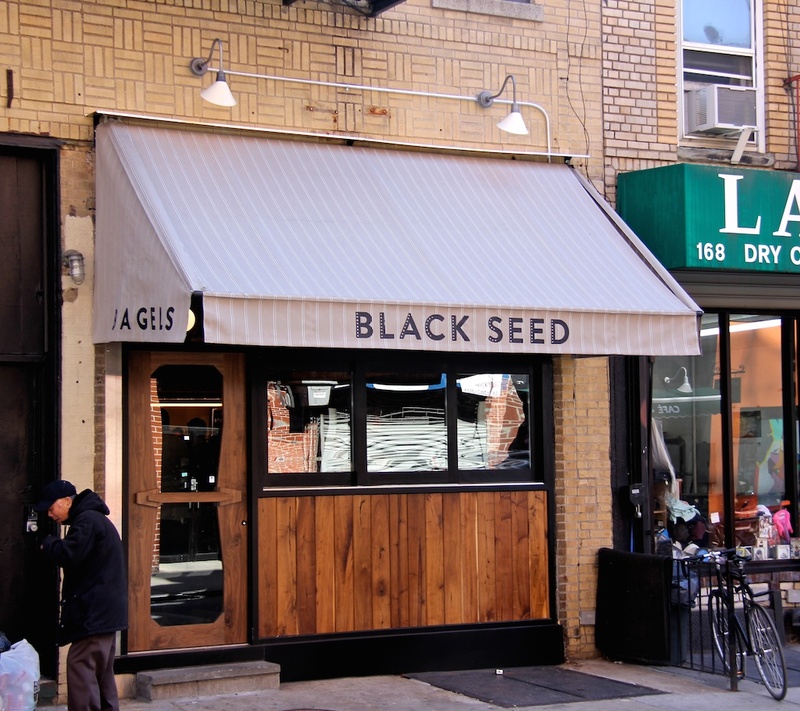 Long lines for food are hopefully a passing trend, Black Seed’s bagels are here to stay.